Me and Dr. Katrin Pesic after my injection. 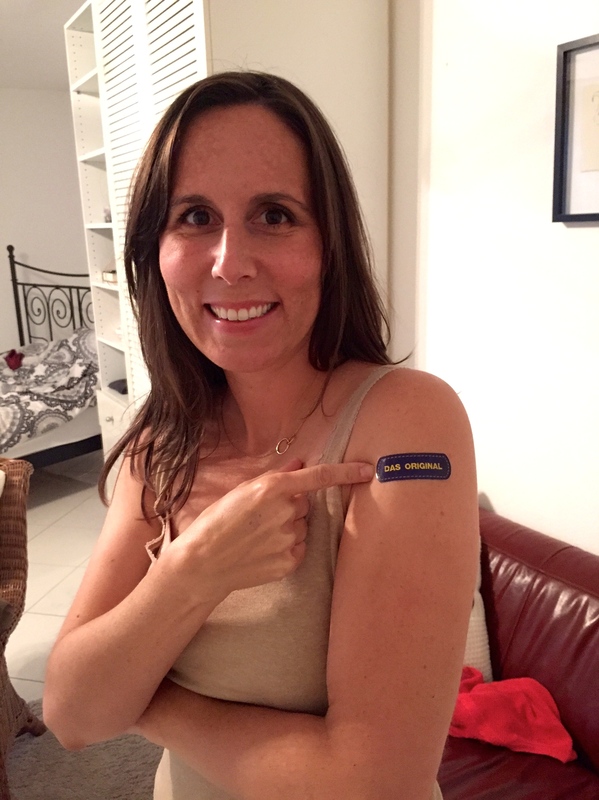 Today I got my stem cell injection, yay!!! The weather was beautiful and I didn’t have to leave at 6 am because I was the only patient going to the clinic. Angela Rettig, the head of patient relations drove me to the clinic. It was fun to learn a bit more about her, Germany, and Infuiso during my drive. Angela helped Daniel and Philip open the clinic here in Frankfurt. I asked Angela more about the town of Bad Harzburg where the stem cell clinic is located. She said it’s a saltwater spa and health resort town that hosts people recovering from surgery or other medical procedures. Angela said in Germany after having surgery, health insurance covers six weeks of rehabilitative care in clinics located in towns like Bad Harzburg. She said many people also vacation and camp in the area. During our six-hour drive I learned a few things about Angela. She was raised by a single mom, loves Michael Buble, likes Whoppers, Latisse, and Glad Press and Seal Wrap. The last two items, Philp brings to her from the US because she can’t get them in Germany. Once arriving at the stem cell clinic things were quite uneventful compared to my last visit. Dr. Katrin showed me the very small vial containing all my stem cells that had grown during the last week. She had me lie down on the table, covered me with a soft, comfy blanket, and then slowing injected my cells into the skin on my upper left arm. It was quick and almost painless! She applied a band-aid, that said “Das Original” and told me to lie there for 20 minutes to make sure there was no negative reaction. Afterwards, I spoke with Dr. Katrin for a few minutes while I waited for Angela to pick me up. We talked about having kids because I mentioned to her last week I was hoping the stem cell therapy and Infuiso treatments would get my immune system in order so I could have children naturally. She said she thought this time next year I’d be wishing for sleep because I’ll probably have a baby! We talked a bit about Lyme, gardening, and beekeeping. She’s interested in keeping bees because they have a big garden and fruit trees. I encouraged her to go for it! I also got to meet one of her cute daughters, who of course greeted me with perfect English! 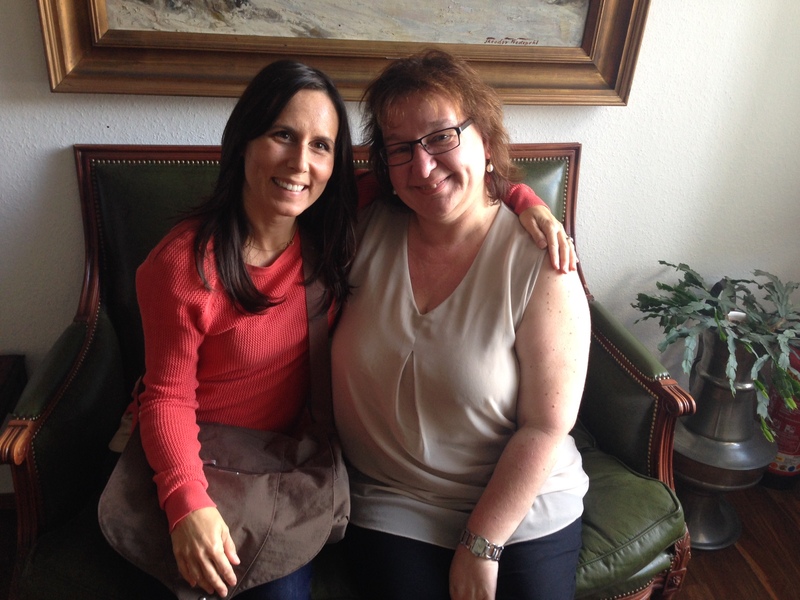 Dr. Katrin wished me good luck with all my treatments, having children and gave me a big hug, so sweet! How many times has your doctor in the US given you a hug?!? I’d love to hear you thought on my journey so far. Any fellow Lyme warriors, those with other chronic conditions, or fighting cancer ready to take Infusio plunge? If you’d like to know more about my Infusio experience, please contact me. I’m happy to speak with you via phone, or connect via email. Categories: Infusio | Tags: Babesia, Germany, Goodbye Lyme, Infusio, Lyme Disease, Stem Cell Therapy, Thymus Therapy | Permalink. This is all so fascinating. I’m so glad you are sharing with all of us! Here’s to no sleep and a new baby this time next year 😄. And can I just say, I can’t put my finger on what exactly it is, but you are looking really great especially in these last couple pics. Not that you don’t always look wonderful, but there is a difference if you know what I mean. Thanks Anita! I probably look different because my body feels so different. The best way to describe it is that my body feels “lighter.” I was feeling pretty good when I arrived and it’s amazing to feel even better. I don’t remember the last time I felt this good for this many days in a row. I know there could still be some ups & downs over the next 90 days but I know that I’m healed. Praise God for his healing! Thanks so much Jen for these post….so interesting. Happy Anniversary to you & Trevor! I am loving that you are blogging about everything – it’s fascinating! And a big help to others going through similar situations. Glad everything is going well and Happy Anniversary! A 6am start to go to Dr Katrin? We left at 7 am when I was there last July but our driver went at a crazy speed to get us there by 10am! It was a nightmare journey. I’ve seen from the UK Lyme Disease Facebook group that they seem to now be harvesting stem cells from the person’s fat tissue and they are not having to go to Bad Harzburg. A couple of people had it done that way when I was there and one woman said the site where they took the fat from was very painful afterwards. There’s something to be said for not having to do that long journey twice but I would not want to be in pain. Don’t know if it’s the same for everyone.